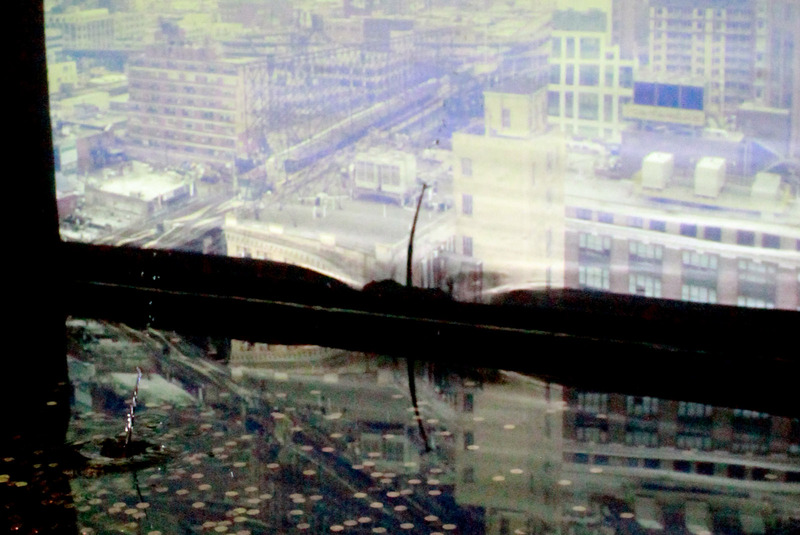 Reflections on Impact from Chris Jay on Vimeo. 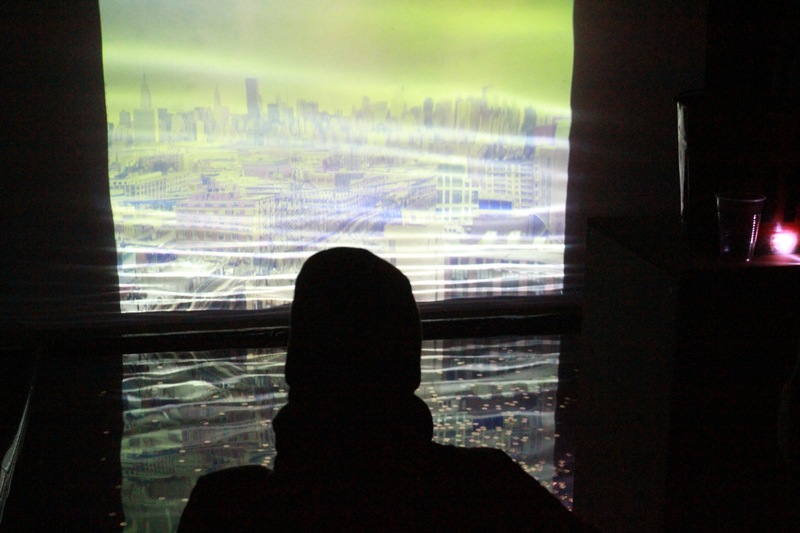 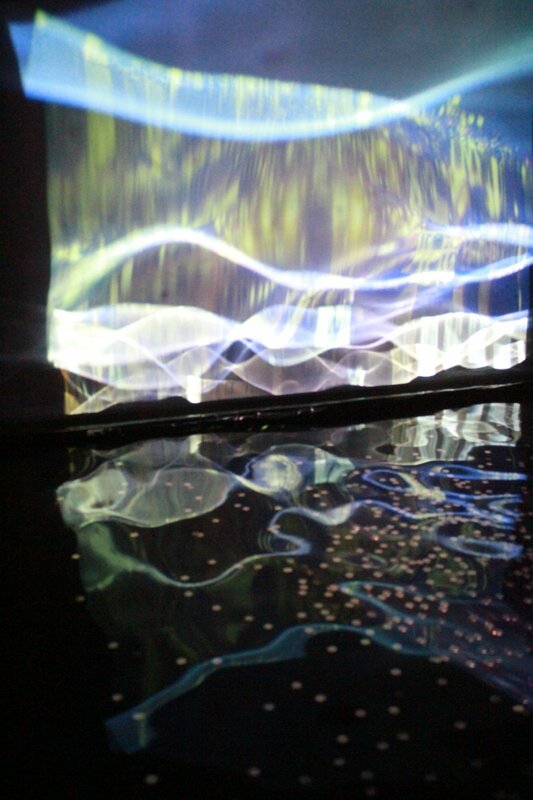 Mixed-media installation using reflections and projections that evokes a meditation on the impact of humanity on the environment. 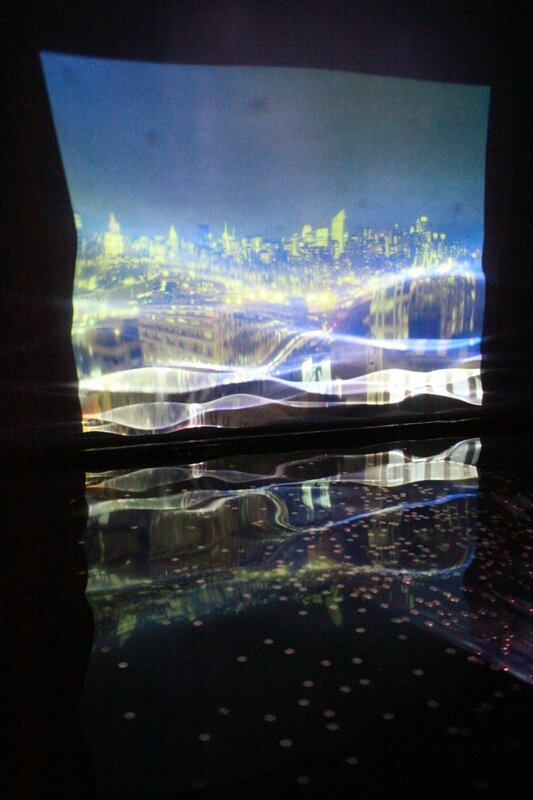 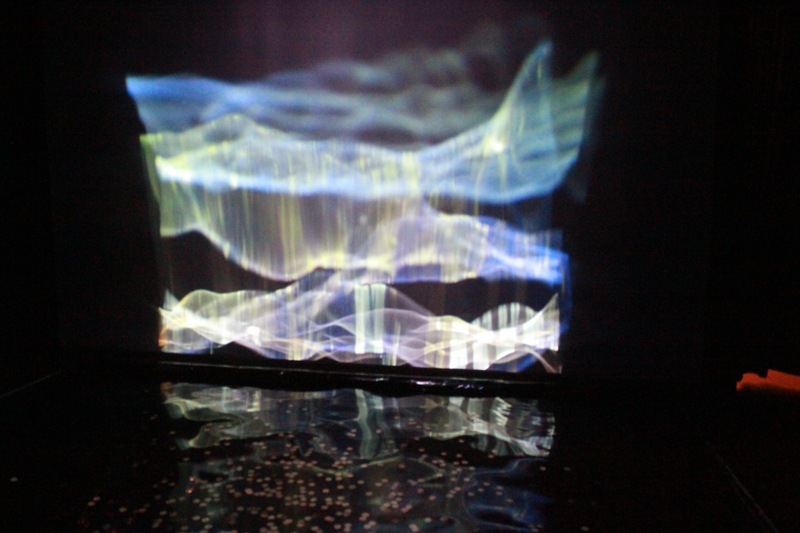 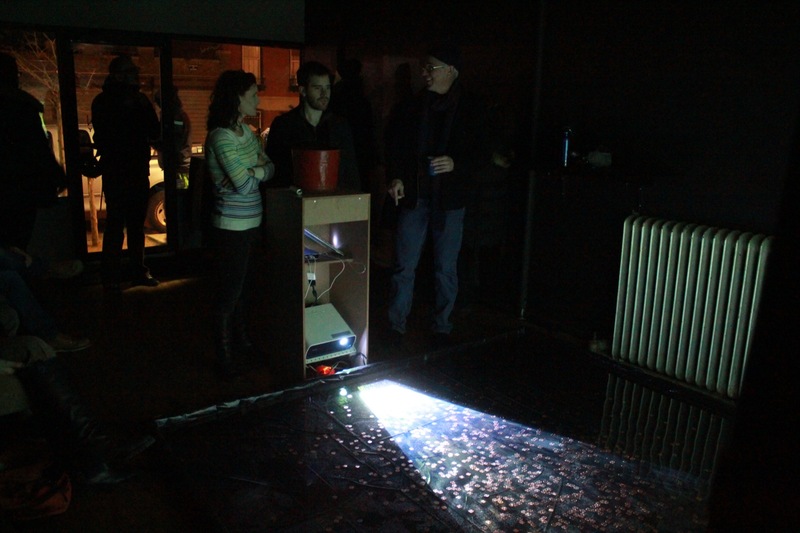 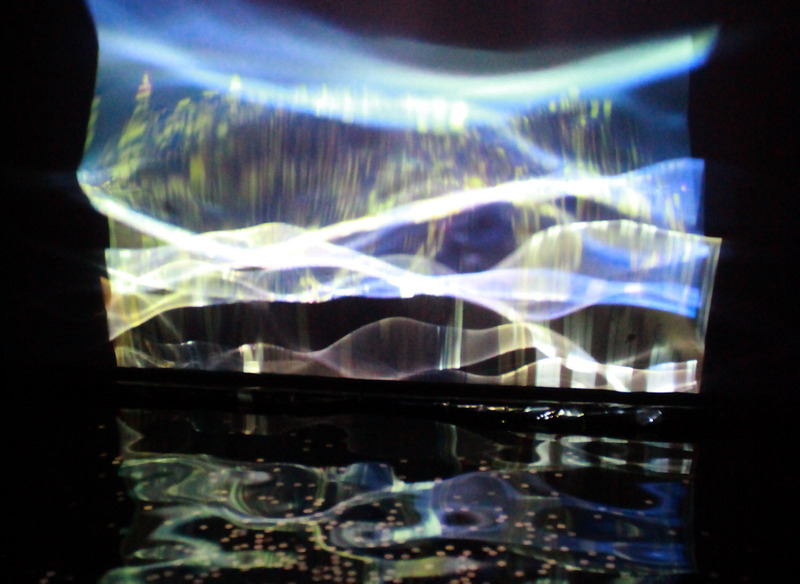 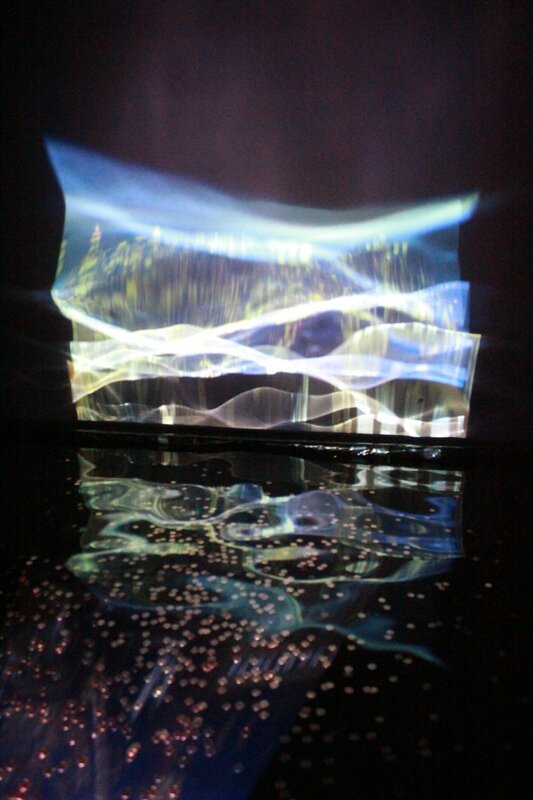 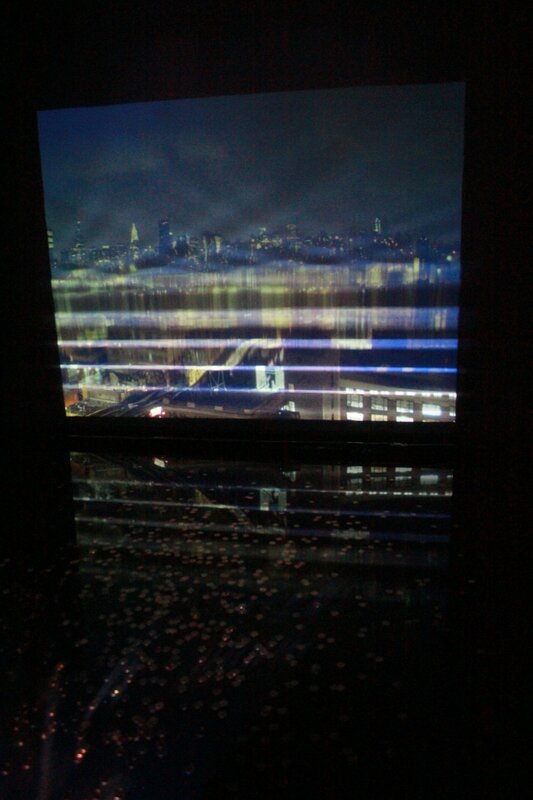 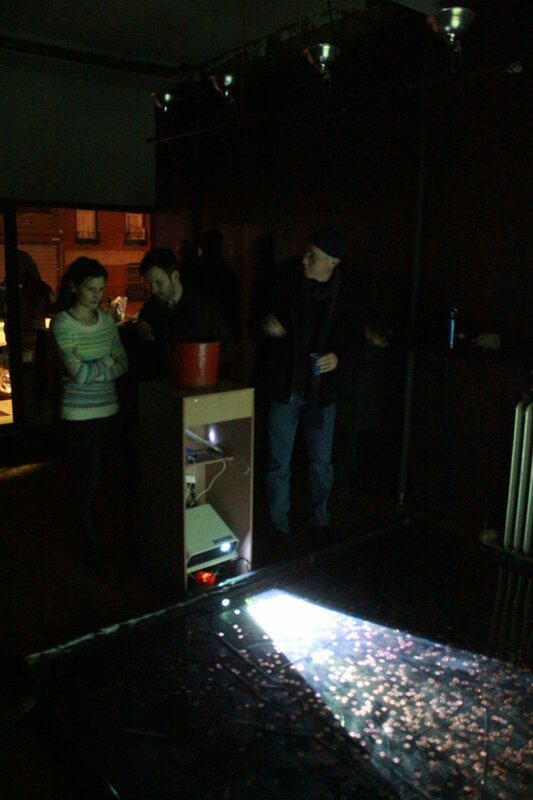 Visitors are encouraged to toss a penny into the pond, causing ripples through the projected image. 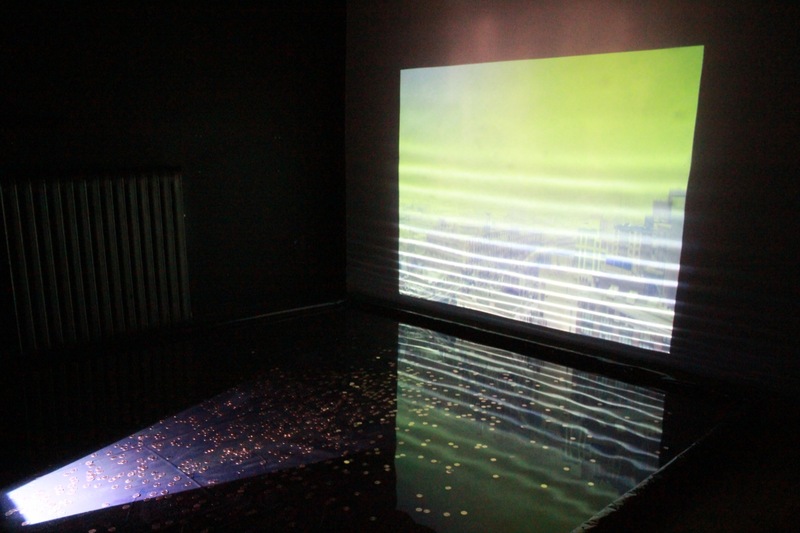 The work juxtaposes the fundamental elements of air, earth, fire and water, in an attempt at creating introspective contemplation on pollution and the environment. 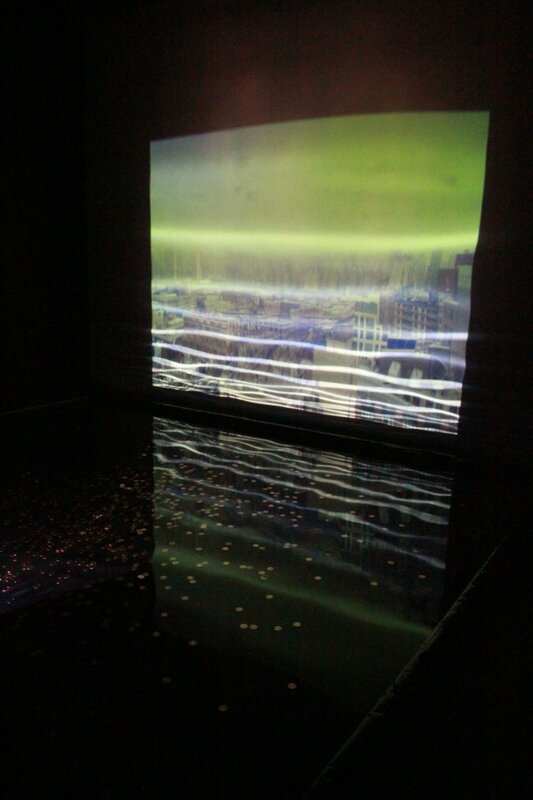 The playful nature of the installation, tossing a penny to make a wish, is literally illustrated by the impact the penny has on the water, and, by disrupting the image of the city, what impact we have on the city, both positive and negative.